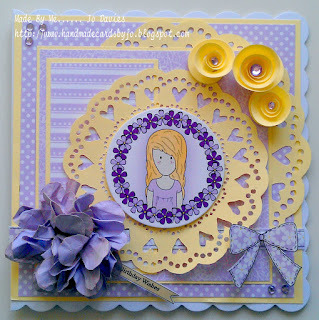 Well, I've been playing around with our seasonal sweetie character and have developed them into some new on-trend beauties. Here we go... introducing Evie! 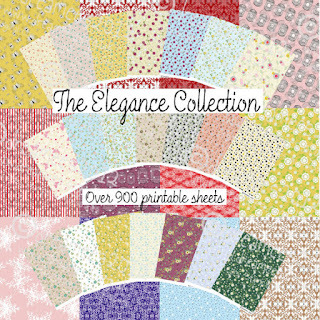 All papers on the cards are from my favourite CD at the moment: The Elegance Collection! So the other week I ordered a stack of 5 boxes to decorate after having an obsessive idea in my head of what I want for our NEC stand in November 2012. 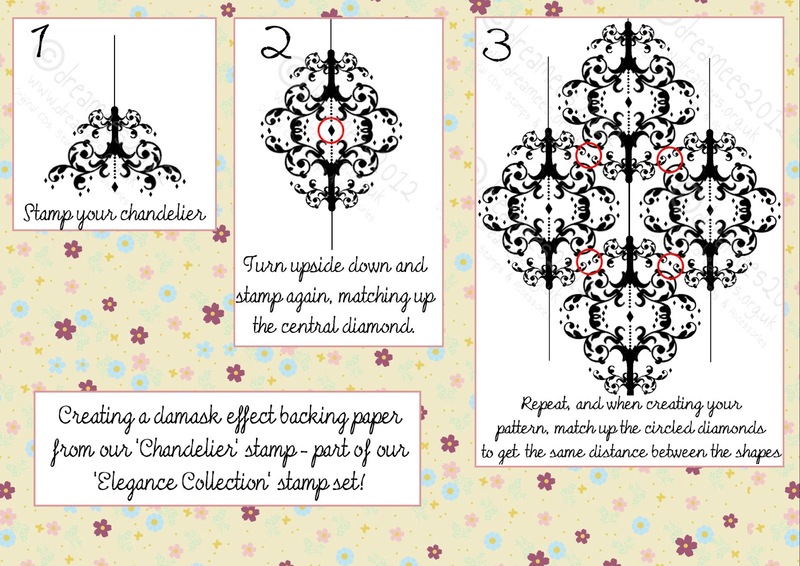 Papers used are from our brand new CD 'The Elegance Collection' and the Chandelier stamp is also part of the same collection. I used some paper lace from our Cuttables (Vol 1) CD, some trusty 'Walnut Stain' distress ink, my favourite Scalloped & Circular Nestabilities, a fair few buttons, ribbon lengths & flowers and a sprinkle of glamourdust! 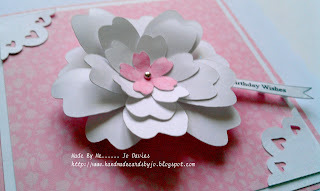 The massive flower is made using our 'Shaped Flower' from Cuttables Vol. 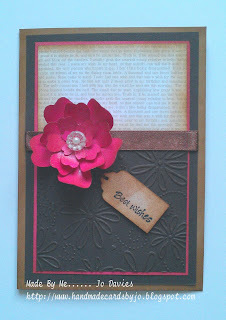 2 resized & layered multiple times - coloured in the pro-marker 'Henna' . I don't think I'll be able to part with them after the NEC so they'll probably find a home by the fire place - Now to pluck up the courage to pack them away in the NEC box... wish me luck! PS. Sorry for the poor photos - the lighting isn't great right now but excitement got the better of me! 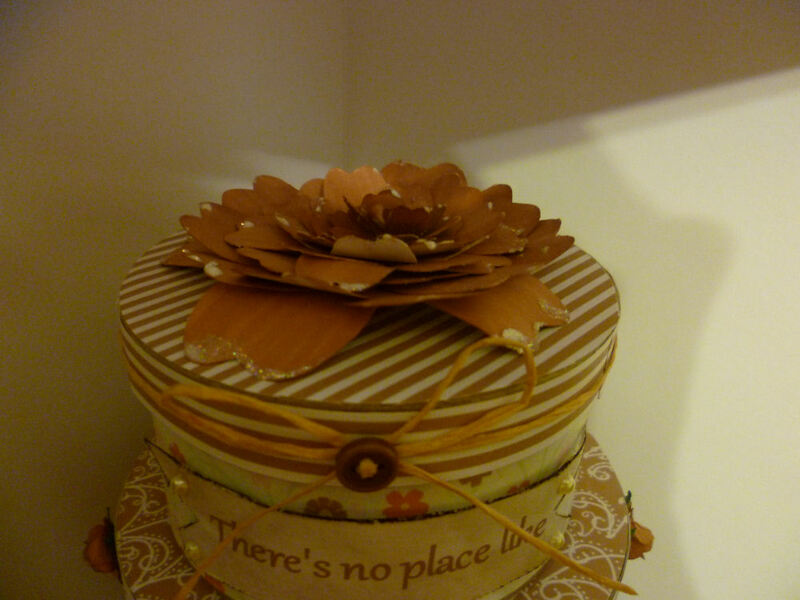 Also, the glue on the top flower isn't quite dry so it's still a little white! Well, I've just had a lovely email from a customer (Maureen Palmer) showing me her beautiful card, embellished with Dreamees handmade paper roses! 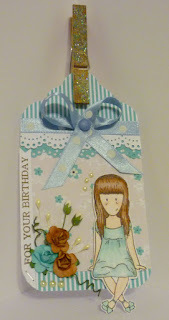 You can also view the card HERE on Maureens blog! 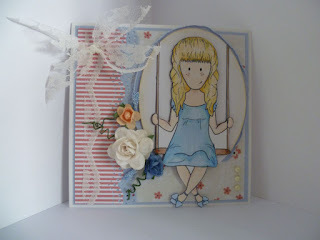 Been having a play with the new Elegance Collection CD & Stamps and this is what we've come up with so far! You can purchase both the CD & Stamps HERE for just £15! 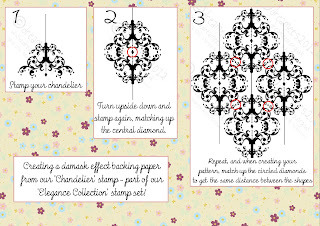 And a little tutorial on how to make damask papers from our Chandelier (1) Stamp! 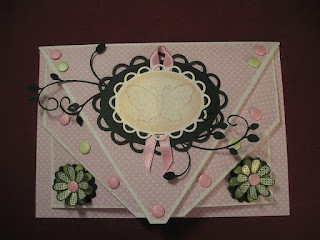 First card made with 'The Elegance Collection' Stamps & CD! 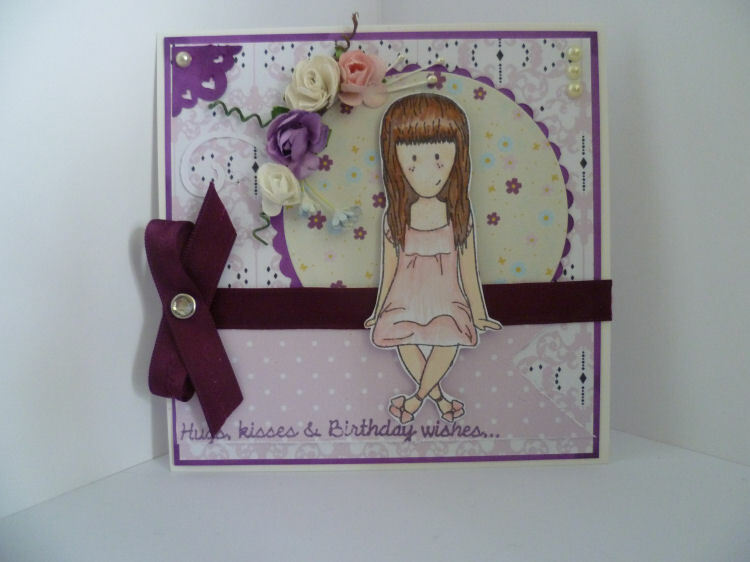 You can purchase both the stamp set and CD Rom HERE for just £15.00! I absolutely LOVE this collection and hope you do too! Well I've been slacking (again!) 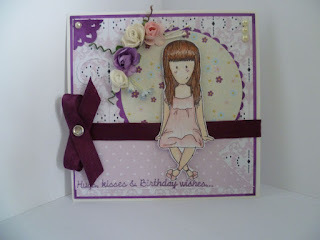 in posting all the beautiful cards that our design team have made so I'm going to post the pictures and if you click on them, they'll link to the original post on our talented teams blog! 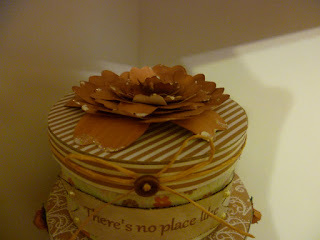 And the following were made by our Jo! 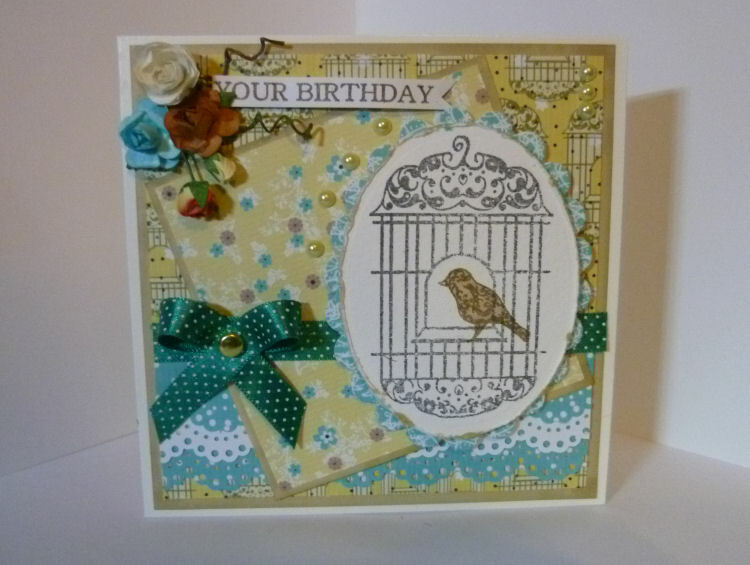 I think you'll agree that all our design team are extremely talented & I'll be back with more cards soon! Jayne has made these using our 'Summer with Roses' stamp and 'Forever Florals' backing papers - aren't they gorgeous? 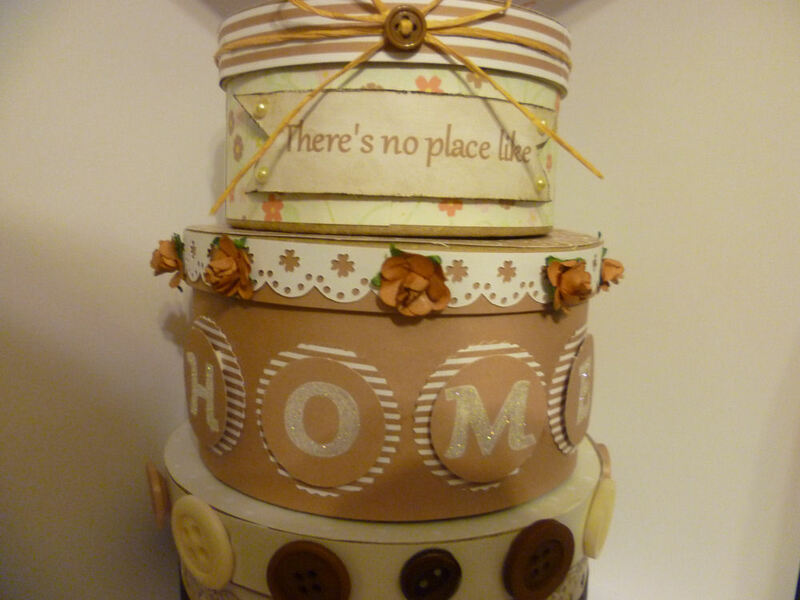 The inside uses our 'Flower Tree' and 'Friendship Sentiment' stamp too - we've never had a book like this made for us before but it really is stunning! 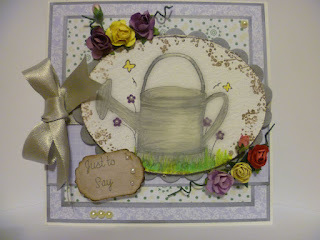 Jayne has also made this card with our 'Watering Can' stamp and various papers from 'Forever Florals'! You can view Jaynes blog HERE and read the lovely write-up that she's written about the cards! 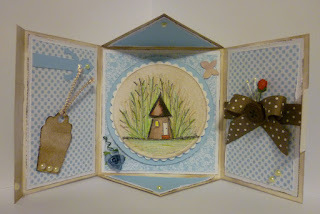 Well, I thought I was getting the hang of 'constantly blogging' but once again I slacked for a few days! 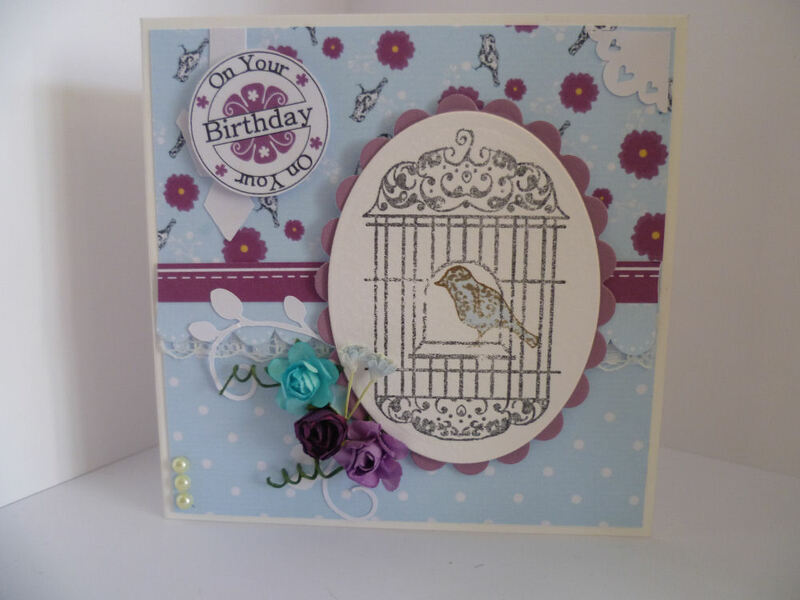 I've been promising to put this card up since Sue posted it earlier this week but have just got around to writing up and grabbing the picture! 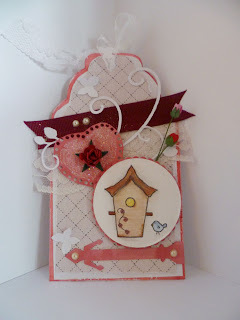 Last night, I had to finish off the last of Daisy's Jewels & Crafts samples and the only remaining stamp to use was 'House of Birds'! 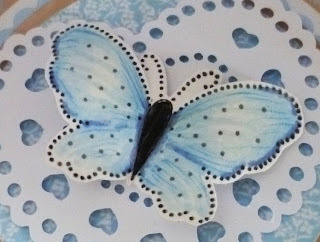 So, here's what I came up with, using an unlikely combination of colours - I hope you like it. 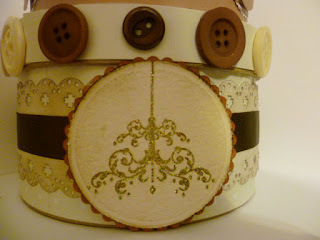 I've always been a fan of tags, especially in the beginning of Dreamees, and thought I'd revisit the roots (so to speak!). Two of my favourite colours used again - Powder Blue & Tan Brown! 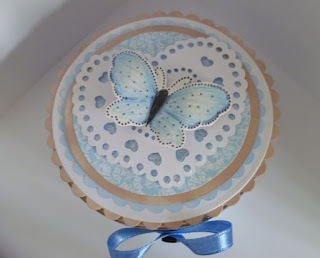 Made using Papers from 'Forever Florals' Double CD, Doily from 'Cuttables 1' for the CraftRobo/Silhouette, 'Dotted Butterfly' Stamp and some embellishments! 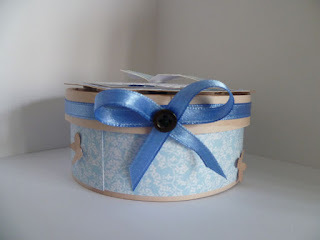 A couple of beauties for Daisy's Jewels & Crafts! First card (above) has been made with our 'Triangle Box Card Template', Papers from 'Forever Florals' Double CD, Embellishments (Tag, Butterflies, Etc) from 'Cuttables 2' & 'Hayley's Hut' Stamp! The second card (above) has been made with our Papers from 'Forever Florals' Double CD (Lilac papers) and the Lemon papers are from our 'Seasonal Sweeties' CD - Topper image is our 'Watering Can' Stamp, along with 'Cherry Blossom' stamped around the edge! 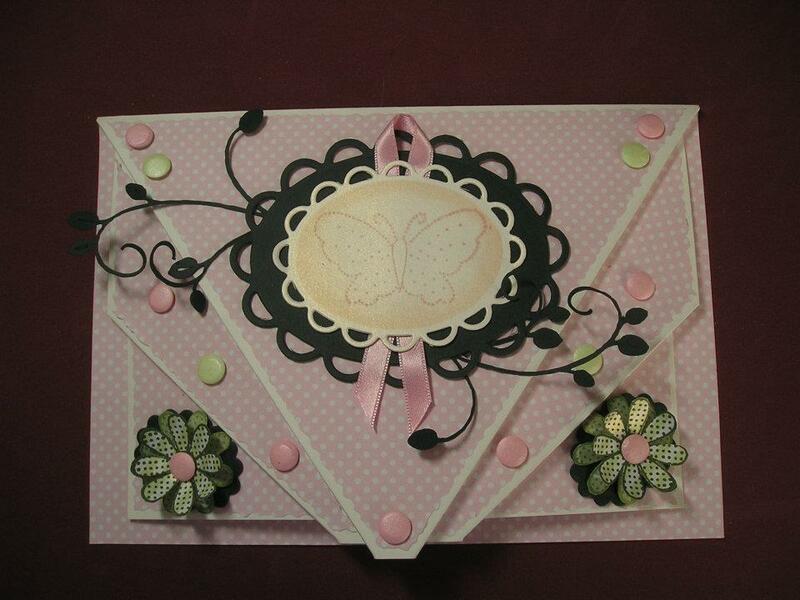 Doreen's first card for Dreamees! 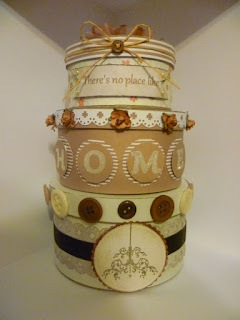 So, today one of the newest members to our design team (Doreen) has uploaded pictures of her first Dreamees project and the only word that springs to mind to describe it is stunning! 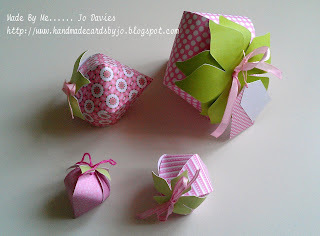 You can find Doreens blog down the right hand side of this page or simply click HERE! 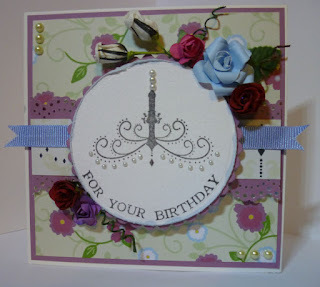 This card was made using papers from 'Forever Florals' Double CD (£14.99!) and 'Summer with Roses' Polymer Stamp (£2.75). 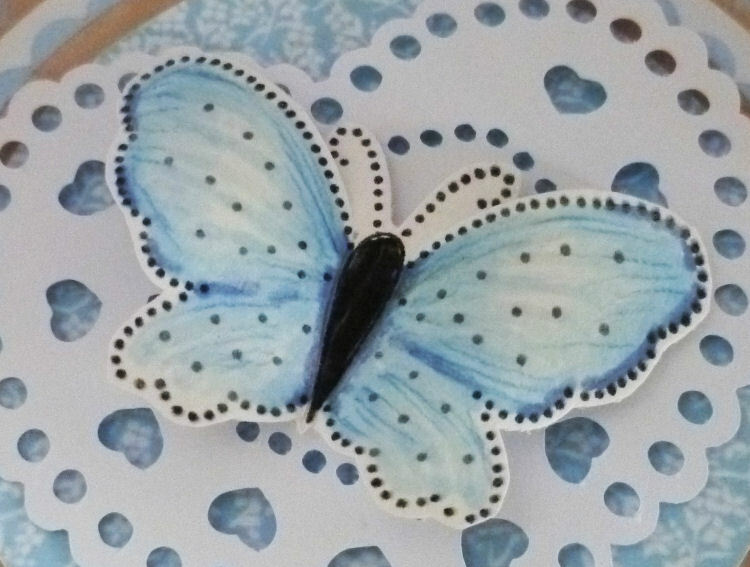 As most of you know, we're off to Coventry on the 17th of March for a daywith Daisy;s Jewels & Crafts (Unit A, Bryant Road, Exhall, Coventry, CV7 9EN) and we've been packing up lots of products for the past week! 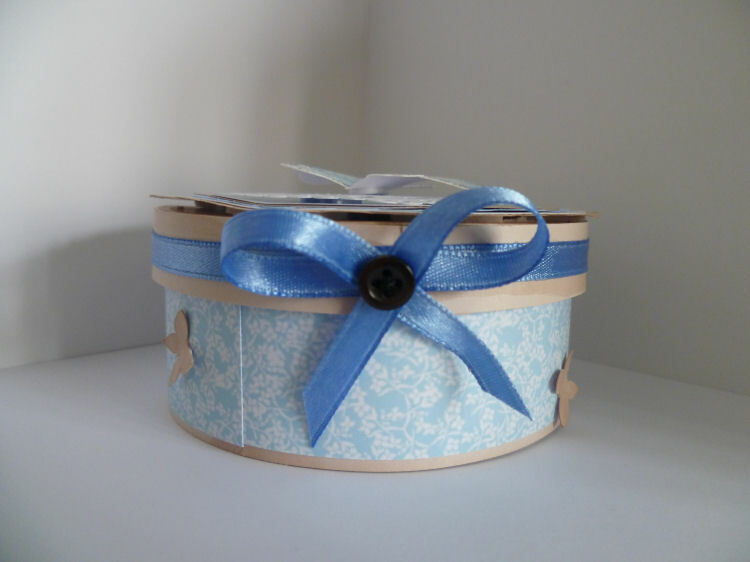 Well, the products have been packed and now it's time for the samples - here's some that we've been making! More to come soon - I've not had chance to take pictures of some!